There has been a recent spate of knife attacks in London with an even more shocking tactic used than previously seen. The attacker was stabbing people in the back. This is not like a knife attack where the person was using the blade as a threat; these are sudden and unprovoked attacks. 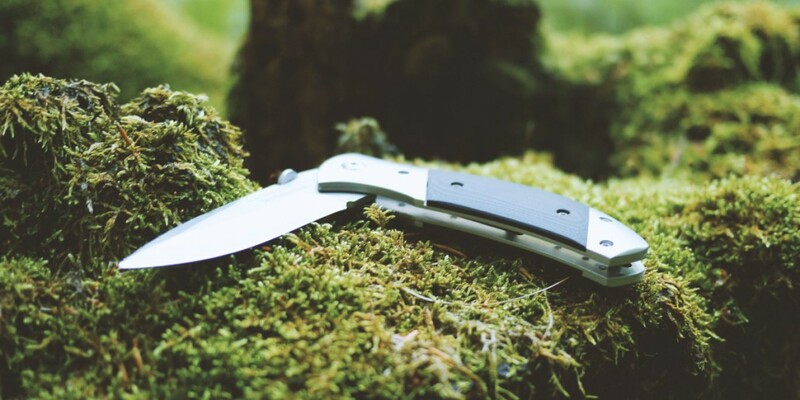 And in this article, we are going to look at 5 practical tips for dealing with and preventing knife attacks from behind. The issue with awareness is that it is hard to ‘be aware’ of an attacker when they are behind you in a socially acceptable manner. Think about it, you are walking along a busy street, and yes it is highly likely someone is going to be behind you. The result is that spotting a potential attacker can be extremely tough if not impossible. So how can you be more aware of a threat you might not see coming? Well, the first thing to understand is that the attacker wants to stab someone, if he can’t get your back, he will stab somewhere else once the blade is out and the intention is formed. So, with such limited time before an attacker could strike you need to trust your instincts. If you have someone behind you and it is starting to make you feel uncomfortable then take action (we will cover the action you could take shortly). But this is about following your gut instinct because usually, we get a ‘feeling’ that someone is too close behind us, and that sets off our internal alarm bells. Trust those internal alarm bells. Sounds too simple to work but this is truly effective. If you think you are being followed too closely stop and cross the road. Look behind you as you do and you will see if the person is still behind you and are waiting to cross. This might give you the first real glimpse of whoever it is that was walking closely. If they do cross with you, then you can seek help or go into a store where you see a security presence. Look for warning signals like an object in their pockets and also their general look/ demeanour. Again this is super tough to spot. A quick and easy technique that could put any attacker off is if you turn on your phone in selfie mode and lift it higher up and press record. You could pretend you are vlogging to get a look at whoever is behind you. No attacker wants to be recorded on camera, and this might well put them off. Again a super simple tip to follow but if you get the feeling, you are being followed then go into a shop and ask the shop staff to call 999 if the person comes into the store. I am not a psychologist so I won’t even attempt to get into the mind of an attacker we don’t know, and this is the learning curve here. Violent and unpredictable people do violent and unpredictable acts, and it is because of this it is damn near impossible to spot these types of attackers. But why would anyone randomly stab someone they didn’t know? The likely cause is, of course, mental health issues. Across the globe, mental health treatment varies widely, and as a result, people don’t always get the help they need. But very often this can also give you a clue as to the type of person that is behind you because (and I am sorry to say this), people suffering from severe and untreated mental health issues often neglect their personal hygiene to such an extent that they have a severe body odour. I know this after dealing with hundreds of severely mentally ill people over the years who needed to be sectioned in a mental health facility. So, the smell of severe body odour could be an indication that you have someone by you that has an issue. But Could There Be Any Other Reasons Behind Such An Attack? Yes, terrorism, gang-related, robbery and of course just sheer nasty and vile people do commit crimes of severe violence without warning. This is why you need to trust your gut and take action the second your ‘spidey senses’ start to tingle. Because in these situations any edge you can get, even if that is a split second could help you to survive and take action to deter/ prevent the attack from happening. Be that noise, shouts, smells or visually you spot something; it is all about getting those split seconds reaction time. Of course, spotting an immediate attack from behind is nearly impossible, but if you can grab a moment to react, you will dramatically increase your chances of survival. The Best Defence To Knife Attacks (Ever Created) Should You Shake An Aggressors Hand?